To make reporting biosecurity risks as easy as possible we have developed a new smartphone app. The Find-A-Pest app (http://www.findapest.nz) allows anyone to quickly and simply report pests, diseases, and weeds and get feedback from experts within the forest sector or from iNaturalist NZ. App testing is being be carried out by selected case study groups in Northland, Auckland, and Southland with a focus on weeds, and nationally via forestry and kiwifruit industry bodies for a broader range of pests. Testing is taking place from now to April 2019. We are looking for more people to join our forestry case study, to help keep NZ’s forests safe from pests, diseases and weeds. We need people who are working on the ground in our forests to download the Find-A-Pest app, and report anything they think could be a suspicious pest, disease or weed. The app is available for Android or iPhone and is free and simple to use. Download the app via this LINK. 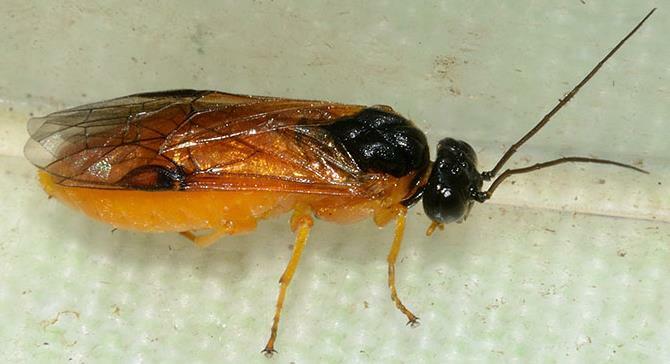 Alert for southern South Islanders: please keep a special look-out for the poplar sawfly. A single caterpillar was recently found in the Dunedin area and anyone in the region is encouraged to look for this species. 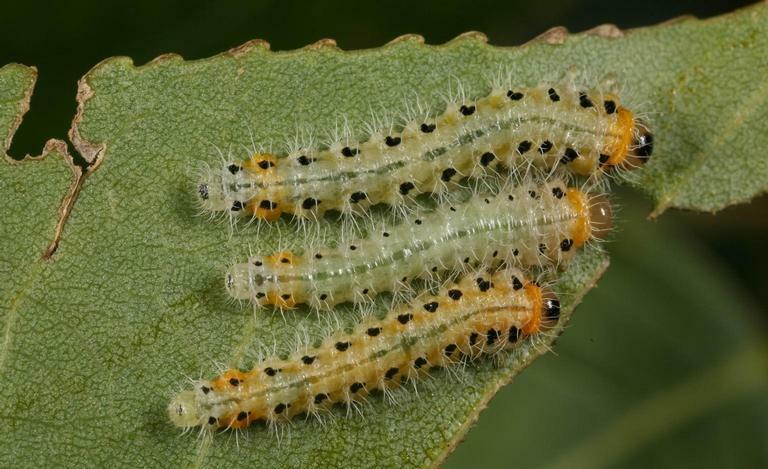 You can find a factsheet about the Poplar sawfly front and centre in the forestry pest gallery. Check out our short help video that explains how simple it is to make your first observation. A team of volunteers from iNaturalist NZ and forest health experts from throughout New Zealand then swings into action and helps you identify what you have seen. Identifications and comments are then fed back to you via your phone. Functionality includes offline use for uploading when back in range of wifi or mobile reception, factsheets to help users learn what pests to look out for and te reo Maori translations of key information. Reported data will add to a database of information about existing and new pests in New Zealand. Unless the suspected pest is considered new to New Zealand, app users should not expect biosecurity officers to contact them about the reported pest. For more information check out Find-A-Pest and its helpful online tutorials. The future of the app will be determined by the results from across the testing groups. Your contribution could help make this app a success. The ‘Find-A-Pest’ smartphone app trial is a Biological Heritage National Science Challenge research project led by Scion and Lincoln University with support from Biosecurity New Zealand (part of Ministry for Primary Industries), the Forest Owners Association, New Zealand Farm Forestry Association, Envirolink, Te Tira Whakam&amacr;taki, Kiwifruit Vine Health, Zespri and iNaturalist NZ. I have some questions around production thinning a block of trees. I intend to do this work myself on a small scale using farm tractor, probably a 22 tonne load every few months. Therefore do I need to advise Worksafe of my intentions? As I am not employing anyone, do i need to have a comprehensive Health and Safety plan? If you are doing the work and you are getting any financial return for your work – in other words selling the trees, then you are operating as a business. This means the Health and Safety at Work Act applies to what you do. You can find plenty of information in the Health and Safety section of the NZFFA website. The Newsletter provides an update on Trust activities and also notes the increasing recognition of trees in contributing to better environmental outcomes; in particular that poplar and willow plantings provide greenhouse gas mitigation, soil stability, enhanced water quality, shade, shelter, food for bees and timber while supporting pastoral farming.